Morris Animal Inn has been family owned and operated since 1960. Passed down through four generations of truly dedicated, well educated pet lovers and owners, the family shares tremendous pride in the Inn’s notable award winning legacy. 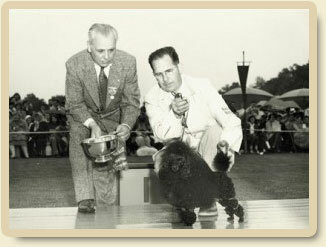 From winning Best in Show at the Westminster Kennel Club to providing services that not only meet but truly exceed all our customers’ anticipated needs and expectations. Walter and Marianne Morris, owners of the Morris Animal Inn, are pleased to share their award winning legacy with their daughter Joanne Morris. Joanne, Vice President, shares in the undertaking of providing first class accommodations, flawless execution of guest services and of course providing tender loving care to all guests that come to stay at Morris Animal Inn.